Apple released first beta of new upcoming iOS 11 for iPhone, iPad & iPod Touch with lots of changes. It introduces tons of amazing features including mostly requested things by the users for a long time. To final release of iOS 11 gets few month, but you can get most interesting iOS 11 features on your iOS 10 device with Cydia right now! This will be a good news for iOS 10 users, the best alternative app store – Cydia is capable to load upcoming iOS 11 features to iOS 10 running devices as well. 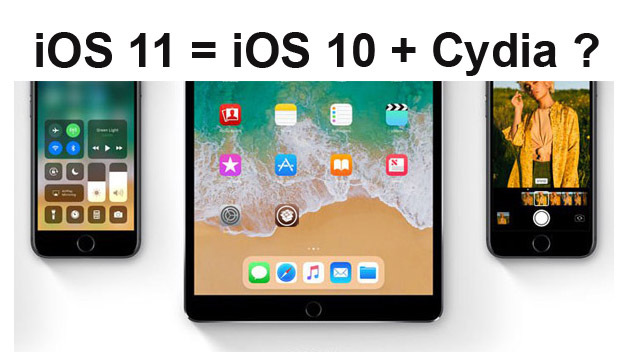 Because, most of the features of iOS 11 have been inspired by the Cydia apps & also some of the newly released Cydia tweaks have really copied iOS 11 features as well. How to get iOS 11 features on iOS 10 with Cydia apps ? First you need to download & install Cydia for your iPhone or iPad. Therefore you have follow jailbreak procedure with your device. Here’s the tutorial guides. How to download Cydia iPhone 7 / 7Plus on iOS 10.1.1 with extra_recipe+yaluX jailbreak ? How to download Cydia for iOS 10 – 10.2 with yalu102 jailbreak ? How to download Cydia iOS 10 – 10.2 with PP jailbreak ? How To get Cydia for iOS 10 – 10.2 with JailbreakMe102 with Safari No computer ? How to download Cydia iOS 10.1.1 – 10 with match_portal+yaluX jailbreak ? After installing Cydia iOS 10, you will be able to get iOS 11 features on your iOS 10 iPhone, iPad or iPod. Just download & install bellow Cydia apps & tweaks & load upcoming features of iOS 11 on your iOS 10 device right now! iOS 11 comes with fully custamizable modular style Control Center. user can add, remove or rearrange the toggles in the iOS 11’s CC. The new Cydia tweak is called ModularCC (Repo – http://repo.sparkservers.co.uk) promises to bring iOS 11 style Control Center to iOS 10. In addition, there are more Cydia apps & tweaks available to customize your iOS 10 Control Center as you wish. Finally, Apple has added Screen recorder to iOS 11. That can be quickly accessed by the Control Center toggle. But, this feature is already been added to iOS 10 by the Cydia tweak is call CCRecord. In addition, there are more non-jailbreak Screen Recorder apps available to download & side-load without Cydia for iOS 10. How to side-load Screen Recorder apps for iPhone, iPad without jailbreak ? Apple introduces new dark mode feature is call “Smart Invert” in iOS 11. But, iOS 10 users can enable this feature as much better with Eclipse 4 or Noctis Cydia tweaks. iOS 11 includes a new file manager app is called “Files” that allows you to manage files in your device & cloud services. More powerful file managing apps available to download with Cydia for iOS 10 jailbreak users that supports all types of files with access system files. iOS 11 comes with a less obstructive slim Volume HUD. You can get this feature on iOS 10 by the Cydia tweak is called Sonus. iOS 11 gives the ability to move multiple app icons at once in your Home Screen. Using the MultiIconMover+ Cydia tweak iOS 10 jailbreak users also can get this feature for their device. iOS 11 introduces one-handed keyboard feature that allows you to type with a single hand on large screen devicess like iPhone Plus series. OneHanded is best Cydia app that allows to get this feature on iOS 10 users. What do you think? These are my favorites features of iOS 11. If I say there is nothing new in iOS11 or iOS 11 = iOS 10 + Cydia. We are pleasure to know your idea in the comment section. 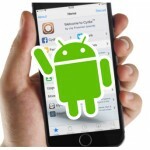 ‹ Is Cydia Free OR Paid for you ? 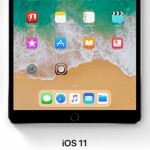 Can Cydia Download for iOS 11 ?